Last year’s celebration featured wonderful tributes to jazz vocalist Ella Fitzgerald and poet June Jordan. 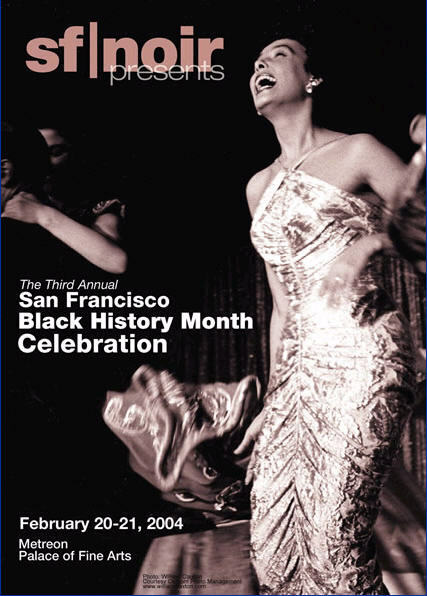 The 3rd Annual San Francisco Black History Month Celebration features a tribute to Motown legend Marvin Gaye. For event and ticket information, go to www.sfnoir.org. This entry was posted on Friday, February 20th, 2004 at 8:46 am. It is filed under Music News/Info. You can follow any responses to this entry through the RSS 2.0 feed.